New Orleans, a city that dearly loves good eats, isn't just about fancy Creole cuisine. Downhome, kid-friendly restaurants abound, places that can deliver for even the most notoriously picky eaters. On the run, a bowl of gumbo or a po-boy gets dished up fast, important to know since a hungry child is also a cranky child. If everybody wants to try something different, head to the French Market, the souvenir Mecca that also has food stalls proffering everything from oysters on the half shell for dad to po-boys for the kids and a healthy salad for mom. Why not give the kids an allowance for lunch and turn them loose after making a meeting point at one of the market’s common dining areas? They’ll be able to choose from everything from jambalaya to fried seafood and organic smoothies, a fun experience for everybody. Or head to these kid-friendly joints around town in neighborhoods from the French Quarter and the Bywater to uptown and the Garden District. Kid tested, each of these restaurants offers menu options to please both kids and parents, and mom and dad can even have a cocktail while the kids are chowing. Now that's what we call family friendly. Conveniently located on Poydras in the CBD, Garden District and Uptown, Reginelli's dishes more than just great pizza. Sure, you can get your hand-tossed pie topped with the likes of roasted garlic, sun-dried tomatoes and fresh mozzarella. And plain cheese pies or the kids start at a bargain $7.25. But the focaccia sandwiches also beckon, crusty bookends to the likes of homemade meatballs and grilled veggies with herbed goat cheese. The Caprese salad made with local Creole tomatoes is a solid choice. Kids will love the focaccia bread sticks topped with melted mozzarella cheese. Pitcher specials on Monday and Tuesdays spotlight local beer at most locations. 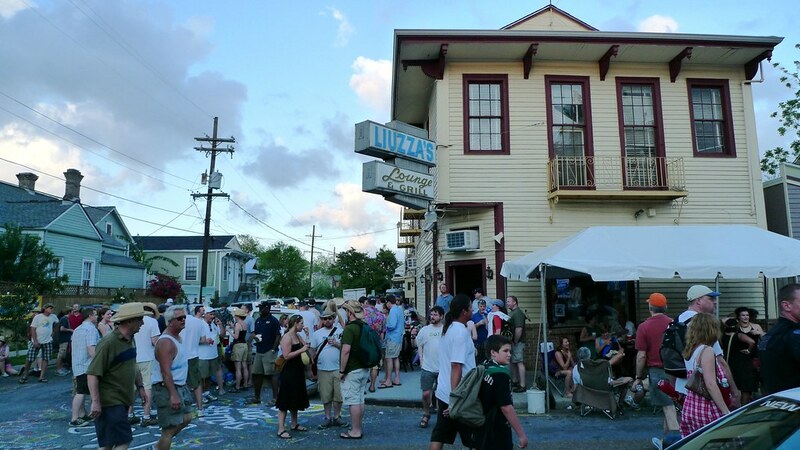 With tasty Southern cuisine at reasonable prices, this Bywater neighborhood standby is always bustling with a mix of locals, business and tradesmen and out of towners. Lunch features po' boys, burgers, chicken salad, and homestyle daily platters like red beans and rice, chicken fried steak and meatloaf with mashed potatoes. Elzabeth's BLT is a wonder made with crisped hog jowls, chopped tomatoes, fresh spinach and blue cheese on ciabatta. Weekend brunch favorites include heaping plates of eggs Florentine, bananas and cream stuffed French toast, roast beef hash, and biscuits and gravy. Try the praline bacon. For dessert, the ooey gooey cake is not to be missed. Grand Isle is the strip of land off mainland Louisiana known for its amazing fishing. Grand Isle Restaurant, with its menu of fresh local seafood and vintage photos channeling the same gulf goodness as its namesake. Situated on busy Fulton Street, Grand Isle spotlights the talent of chef Ryan Haigler, a South Carolina native who's come light years from his Waffle House beginnings. With a resume that includes working with Sean Brock in Charleston, Tom Colicchio in New York and Emeril in New Orleans' Delmonico, Haigler lassos a lot of flavor in gulf specialties like smoked fried oysters with garlic aioli and a version of grilled oysters with havarti and tasso that is completely off the hook. The smoked drum chowder with roasted corn is another treat, and you can't miss with anything seafood. But Haigler handled the butcher program for Delmonico for two years, so steak specials or the winning combo of confit pork cheek and baby clams served with crunchy popcorn rice pilaf. This is a relaxed yet surprisingly sophisticated option just steps from Canal Street and the Convention Center. Don't miss a meal at this Treme Creole gem on leafy Esplanade Avenue, where chef-owner Wayne Baquet and his friendly team serve belly-filling breakfasts and flavorful soul food in a down-home setting. Specializing in authentic cuisine made with regional ingredients, this intimate eatery's bottomless buffets are exceedingly popular with locals, so come early and bring a hearty appetite. The Sunday brunch includes made to order omelets with bacon and sausage, biscuits, red beans and rice, file gumbo, ribs, and an endless supply of some of the best fried chicken in town. You'll leave waddling. Bread pudding for dessert, yes please, even for breakfast. Adolfo's, on Frenchmen Street in New Orleans is a quirky, homey Italian eatery upstairs from the Apple Barrel Inn bar. Arrive when they open to avoid a wait - reservations aren't the norm unless you have a large party. Order garlic bread to start, make that a double order, then you absolutely must get the crab meat and corn cannelloni, a house specialty. The kids will love chicken parm or ravioli, or try the veal with ocean sauce and prepare to be wowed. All entrees come with pasta or salad - another plus. For dessert, try the rum and espresso-soaked tiramisu. Now with three locations, this colorful joint features indoor/outdoor dining, a full bar and sometimes live music. There are dogs of all breed, from polish sausage and brat to alligator, red hot and crawfish sausage. There's even the Sea Dog - tempura battered fried cod filet served with homemade tartar sauce. Then, choose toppings, which can include chili, cheese - real Cheddar, not the gloppy liquid kind, bacon, ranch, Andouille sauce, guacamole and crawfish rtouffe. The fries are outstanding. Order cocktails or beer, and for the kids, one of the floats, shakes or malts, or ­ask for a Shirley Temple. Yes, it really is on the menu. Tucked away on lovely Maple Street in the Black Pearl section of uptown, this Tunisian eatery is an oasis of gracious service, authentic flavors and local ingredients. Try the crawfish, zucchini and spinach bisque, lamb chops or lamb tagine and mussels in wine sauce. Chef Jamila will make up something special for finicky kids, from plain pasta with butter to sauteed chicken and shrimp. But most children will be pleased to tuck into couscous with chicken or a simple veggie pasta. The homemade warm bread and pita with herb butter is always a hit. For dessert, try the house made baklava. After dinner Moncef will sprinkle your hands with orange blossom water, guaranteed to leave you smiling. Head uptown to the Camellia Grill on South Carrollton for outstanding breakfast, Dagwood-sized sandwiches and treats like milkshakes and homemade pie. You may have to line up for a table, so feed the young'uns pretzels while you wait - it will be worth it. Snag a counter seat to take in all the action - the staff is super friendly (especially Melvin!) with plenty of New Orleans charm. The burgers are renowned, all of the omelettes are yummy and there are solid sides like mac n'cheese and gumbo. The perfect order? The dressed cheeseburger, chili cheese fries and chocolate shake. All at rock bottom prices. Shake Sugary is a locally owned creative bakery located on the buzzing St. Claude Avenue corridor that flanks the Marigny/Bywater neighborhoods. The love child of owner Dawn Snead, who earned her degree in Baking & Pastry Arts from Johnson & Wales University, this bakery is known for inventive sweets like chocolate bourbon pecan pie and Bailey's chocolate chip cheesecake. The shop also sell cupcakes, cookies, tea breads, brownies and scones and serves savory options for breakfast and lunch. Also count on interesting vegan/gluten-free choices like coffee cake, seasonal tarts and macaroons. If wedding plans are bringing you to New Orleans, Shake Sugary creates elaborate custom cakes, cupcakes and other festive desserts.